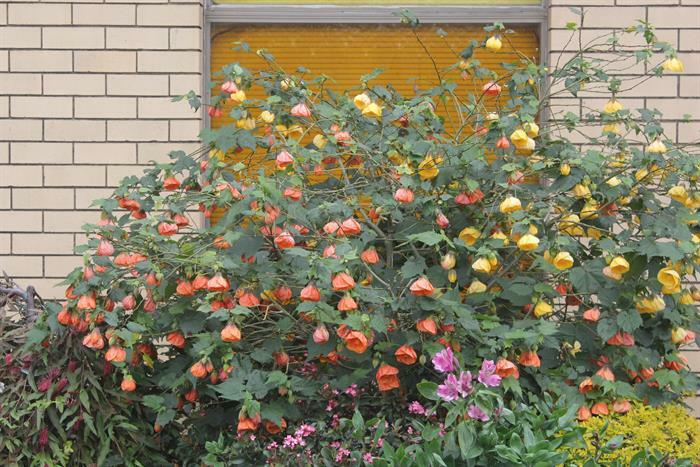 Garden shrub, sometimes grown as espalier. Half hardy; Grow in full sun or light shade; Prune at the end of winter; remove long straggly stems. 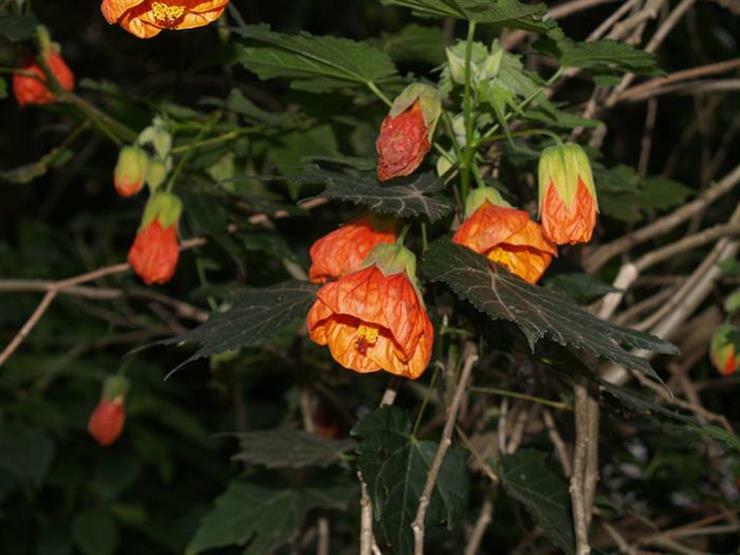 Abutilons can spread and become straggly and unattractive if they are not pruned. Water freely when growing, and moderately when growth slows.